So how bad? 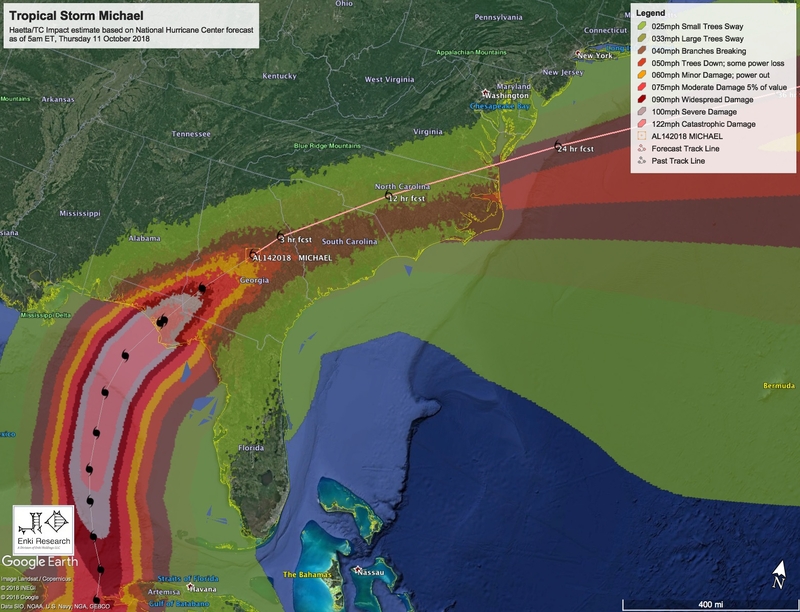 Unlike several recent bad storms like Harvey, Florence, or even back to Sandy, Michael is a traditional hurricane event where the most intense damage is in a narrow swath along the coast and track of the storm cause by either wind, waves, or storm surge, with inland damage mostly caused by wind. Economic impacts are likely in the $25 Billion dollar range. The models are estimating that of that, the FEMA Flood Insurance Program will probably take something like a $3 Billion hit, private insurance $9 to $10 Billion, so that insurance will cover just about 50% of the impacts, which again is much more of a “traditional” storm than the recent events with so much uncovered (by insurance) damage.